Finedon is an ancient town in Northamptonshire with a long and proud history. Its name at the time of Domesday was “Tingdene”, meaning “Meeting Valley”, and it is thought that, since before the Conquest, Finedon was the meeting place of the Navereslund Hundred, which was named after a Danish chief called Nafarr; so Finedon is probably of Danish or Viking origin. 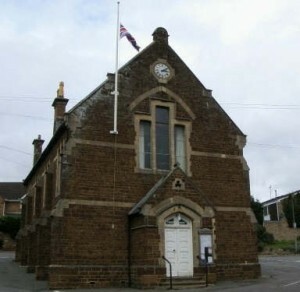 At the introduction of modern Local Government, Finedon was an Urban District, and there was a Finedon Urban District Council. However, in 1935 the Finedon Urban District was abolished, and Finedon became part of the Wellingborough Urban District. Finedon thereafter had no Council of its own, and suffered very much in consequence. The Council is comprised of thirteen members and meets about every six weeks at 7 p.m. on a Wednesday in the Town Hall. Finedon electors may speak at the meetings provided notice has been given to the Clerk.